This is my very first post on my very first Blog! It is probably best to start at the beginning…the reason why I decided to do this. While I was trying to find routines, methods and styles to help me take the best care of my Natural Curly Hair I found the Internet so helpful! Before that, I did not realize that YouTube, Online Forums, Articles etc were so full of useful information about Natural Curly Hair (ignorant I know). I can not tell you what lead me to finding out… I think I random stumbled on a Hair Forum which then lead me to YouTube and so on. All I can say is THANK YOU to all the ladies who put up information, made videos, answered questions etc you have no idea how grateful I am! Basically I am doing this to ‘give back’ in hopes that someone else will find some of my information and tips helpful on your their Journey. I also just started putting Videos on my Maicurls YouTube channel. I am very shy on camera and talk super fast (I Hope I will get better)! So after loads of research as well as Trail and Error I started to integrate routines, methods and styles that worked for me. Now, when I say Trial and Error I really do mean A LOT of Trial and ERROR. I sometimes got to a point where I wanted to give up. At one point I contemplated getting my hair ‘texturized’… I think that is what it’s called. I actually went to different Hair Dressers to see if they would be able to do it. But when I got home and properly thought about it, I realized that it would mean that I would be back in the same place I was before when I use to relax my hair. The thought of the maintenance alone put me off. My family also told me that after all the time I went through transitioning from Relaxed to Natural Hair, I might regret it. So I did not and could not be happier! I am not trying to bash relaxers or texturizers or any other method I just realize that those methods are not for me. If my Relaxed hair had been long, flowy, thick and healthy this might have been a Blog about maintaining my relaxed hair.. you never know. But that was simply not the case for me. I know there are ladies who have healthy relaxed hair…it just wasn’t the case for me. 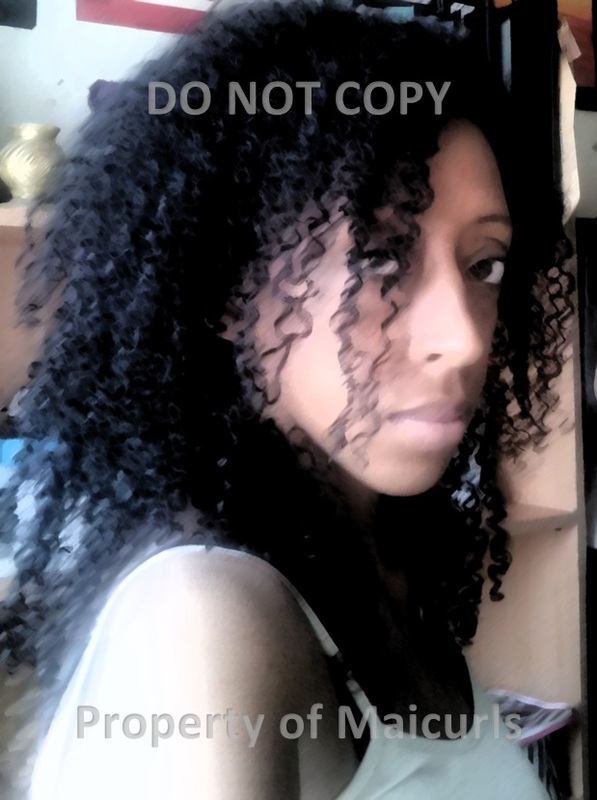 You can read about my Hair Journey in ‘My Hair Journey from Relaxed to Natural Curly Hair’. Moving on…so during my Trial and Error phase I sometimes found it hard to stop myself from wanting to try EVERYTHING out there and believe me there is A LOT! What I came to realize is that when I reach a goal/look/result I like I need to stop. “If it isn’t broken don’t fix it” right? Yes, that was hard for me to do and still is! And by that I do not mean don’t try different styles or routines or methods but if you have good results using one method then maybe just be happy with that and move on to achieving something else. I also became a ‘product-junky’ while I was trying to find out what works for me. I mean I tried every conditioner, leave-in conditioner, gel, cream… you name it I tried it. I am currently on a path of looking at putting natural products in my hair. I also am trying to live much healthier so that I nourish the inside as well as the outside. I have finally figured out what my hair likes and what my hair does not like. I also basically know how my hair will react to certain things and most importantly (for me) is to listening to my hair! I now understand what my hair is trying to say and yes my hair can be demanding and expects me to listen otherwise I am the one that suffers because my hair likes to do what it wants. Ok, this is a long winded introduction. So I shall end it here and say thank you for visiting and reading my post. I will be updating and writing new posts frequently (I promise to try my best). So please leave me comments, feedback, questions, suggestions etc. This entry was posted in Uncategorized on July 16, 2013 by Maicurls.